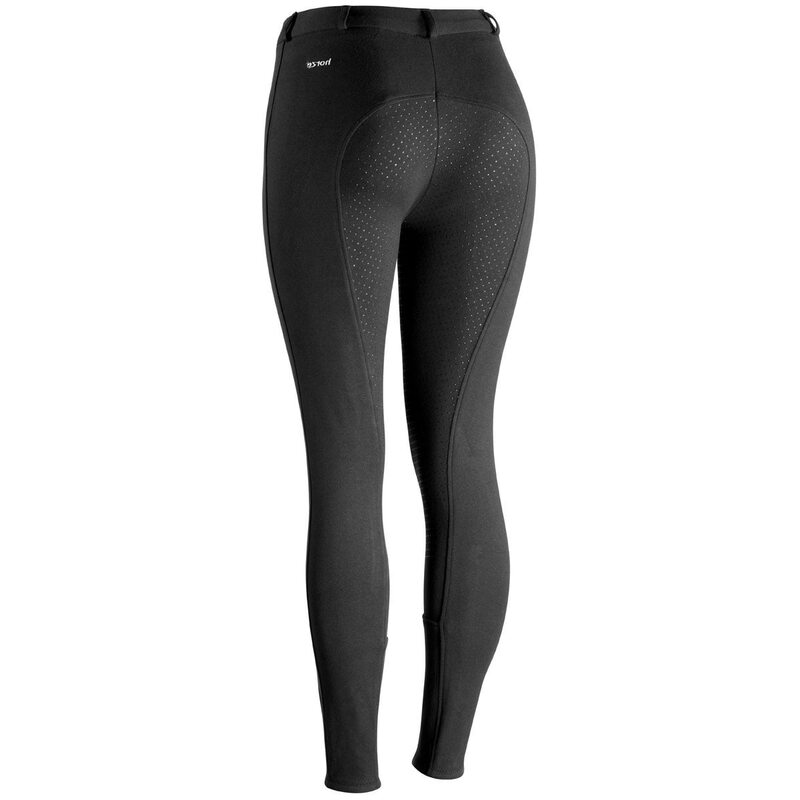 The Horze Active Silicone Grip Full Seat Breeches are going to help you stay put in the saddle! 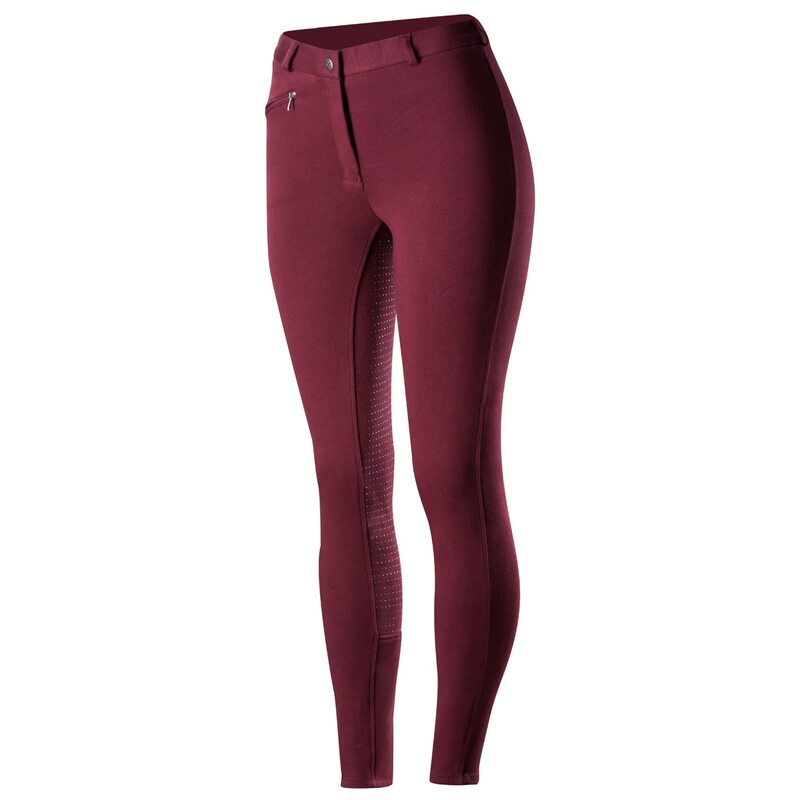 These breeches are perfect for everyday use at the barn for schooling while still having a put together appearance. 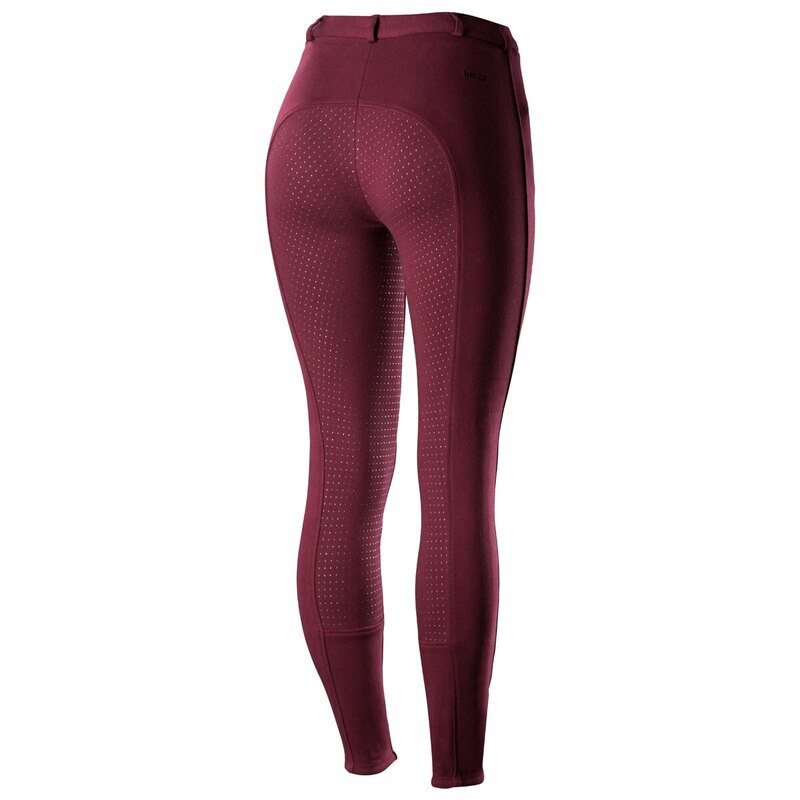 The soft material makes wearing these for long hours at the barn a comfortable experience. Additionally, the stretchy material will move with you no matter what your day brings your way and will also maintain its shape use after use. Horze Active Silicone Grip Full Seat Breeches is rated 4.2 out of 5 by 10. Rated 4 out of 5 by Tyline from Very comfortable I bought these last week and was pleased with how they fit. They were true to size, maybe a tad large. This is good since my body shape has changed after having a child (4 years ago, lol). Just ordered the blue ones in my size! I actually felt like I could feel my horse versus the one brand of full seat I have with suede full seat. :) I haven’t washes them yet, so I can’t speak to that. I also wish that the material was a little lighter for summer. 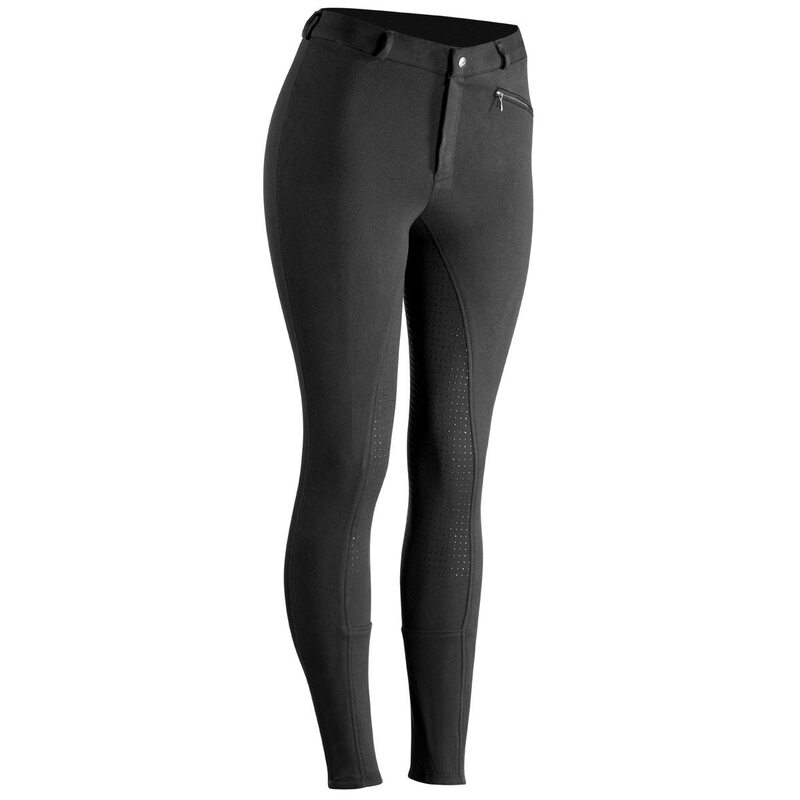 Rated 5 out of 5 by Val1 from Great breeches for the price I now own two pairs of these breeches and plan to buy more. Have ridden in them for a few months. Just the right amount of extra grip (from the silicone dots) without feeling stuck in the saddle or squeaking like other sticky seat breeches I've tried. These are the most comfortable breeches I own. The fabric is a good weight and nice for all but the hottest or coldest days (best in the 40'-85' temp range). I ordered a size smaller than my usual after reading other reviews and was glad I did. They were a tad long for my 5'4" frame, but shrunk up to the perfect length after one wash. Midrise works well for coverage while still looking modern. These fit so much better than the Piper tight with silicone grip for my hourglass shape. The silicone dots are wearing thin after many rides and washes, but for the price, I don't mind at all. These far exceeded my expectations. Rated 3 out of 5 by Annabelle from Did not fit as expected Should have just ordered my usual Piper breaches but I was temped by the reasonable price of these breaches. They appear to be good quality but just not a flattering fit. These are being returned and I already ordered new Pipers. Rated 4 out of 5 by Adagio_2004 from Good quality for the price. 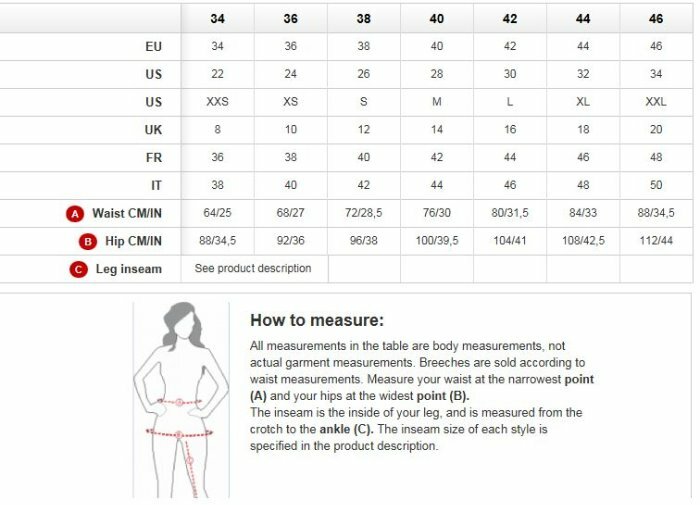 I recently purchased a pair a few weeks ago and was happy with the consistency in the Horze sizing chart. I hadn’t bought this particular style before. The material is a soft cotton that is comparable to Oncourse or Dublin brand breeches. Rated 2 out of 5 by Kiwi from Meh Not great, silicone doesn't provide enough grip IMO. But on the plus side, the fabric is a good weight, not see through. Runs large too, order a size down. Maybe even two. Rated 5 out of 5 by Pony linda from Comfy! These fit well and are very comfortable. Washed well too. 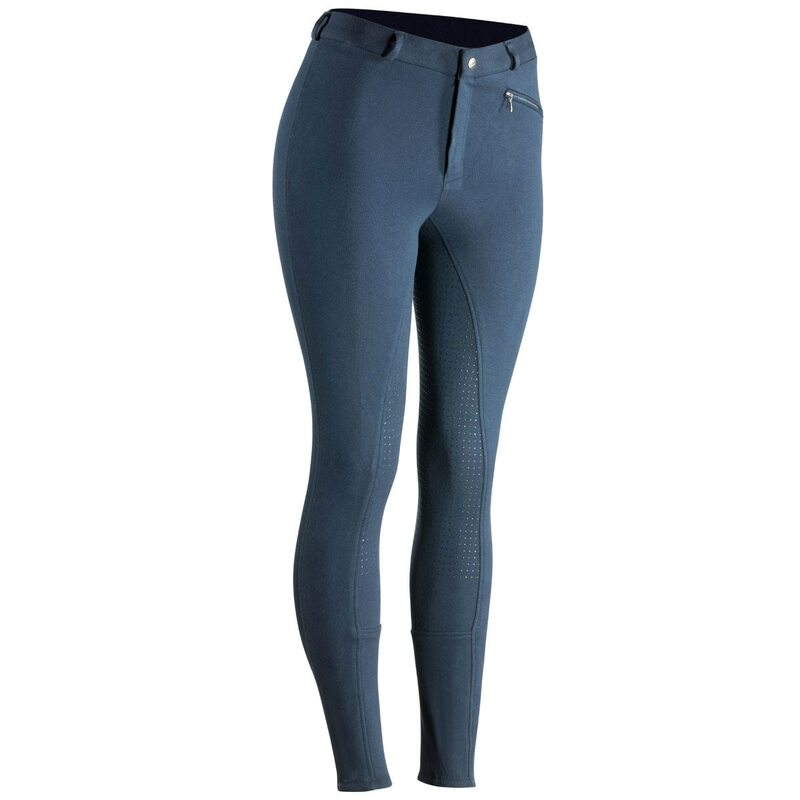 Rated 5 out of 5 by Murphyl from True to Size This was the first time I'd ever tried Horze breeches; they fit true to size with some breathing room and they feel well made with thick stitching. The belt loop width is tiny, fyi.